Sept 27, 2018(Thursday) 9:00~6:00am Training. Exhibits setup in PM. $850 including 3-day conference, Exhibitors’ lunch and Award Banquet. Dr Shieh was a founder of both Modern Concepts Medical Group and RejuvaYou Medical Corporation. His specialties include non-invasive and minimally invasive cosmetic medicine and anti-aging medicine. His focus on excellence and patient care has earned him the distinction of being selected “Best Doctors” by LA Downtown News and currently featured on Best of LA. Dr Shieh offers the leading edge treatments in skin rejuvenation and anti-aging to all patients. These treatments were previously guarded as beauty secrets by famous actors, models, and the rich and famous. Dr. Shieh’s practice of non-invasive cosmetic treatments has always been by referral-only, and included international celebrities, Miss Universe contestants, models, actresses, NFL cheerleaders, and other clients that needed to always look and feel their best. However, with the expansion of his facilities and the formation of RejuvaYou, these amazing treatments are now available to everyone who wishes to turn back the hands of time to look and feel younger and become healthier. Dr. Rob Hamilton, M.D. obtained a degree from the University of Colorado at Boulder in Electrical and Computer Engineering and later pursued his passion for medicine at the University of Colorado Health Sciences Center and completed a four-year residency at UCSD in Emergency Medicine. After graduating, he spent 20 years practicing emergency medicine of all kinds. He served in administrative and leadership roles for his group and hospital. Realizing the medical field was severely lacking in proper preventative care, he completed Fellowship Training and Board Certification in Anti-aging and Regenerative Medicine, along with Certification in Age Management Medicine. He has since done a Fellowship in Stem Cell Therapy through the American Academy of Anti-Aging and Regenerative Medicine. He has a special interest in Chronobiology, Photobiomodulation, and Quantum Biology, and maintains that despite all the advances in modern medicine, nature is the best doctor. Dr. Lynda S Hamner is a Physical Medicine And Rehabilitation Specialist in Fruita, Colorado. She graduated with honors from Louisiana State University School Of Medicine In New Orleans in 1986. Having more than 32 years of diverse experiences, especially in PHYSICAL MEDICINE AND REHABILITATION, Dr. Lynda S Hamner affiliates with many hospitals including St. Mary’s Hospital And Medical Center, Inc., Lower Valley Hospital Association, and cooperates with other doctors and specialists in medical group Aurora Centre Inc. Dr. Hamer has been practicing Frequency Specific Microcurrent for more than 15 years. Dr. Dennis J. Courtney, M.D., has been recognized nationally as one of the “Top 20” Alternative Medical Doctors in the United States. He treats patients for all medical conditions, and does so without the use of potentially harmful pharmaceuticals. Dr. Courtney is an integrative medical practitioner who has practiced in western Pennsylvania for 25 years. He hosted a radio show 3 times a week for 23 years. During that time, he had the opportunity to interview countless medical experts. Those relationships provided him with valuable knowledge, and “one of a kind”, life changing treatment modalities he has been able to his patients. Some of those unique and rate treatments include: Stem Cell Therapy, Ozone Therapy, Microcurrent, Regenesis HRT, Three-Day Eye Program, Thermography, LDA/LDI. He has published the highly sought after book, “Restore Your Lost Vision Now – The 3 Step Program to Restore Your Sight,” and offers three-day treatment programs to substantially restore vision to many who have been suffering with serious eye diseases. Shannon Goossen, AP, LMT, CMTPT is president of Comprehensive Myofascial Therapy Associates, established in 1996. She recently led a team of pain practitioners transitioning a new medical microcurrent device into the pain management community. She teaches nationally about FSM (Frequency Specific Microcurrent) and offers web based training opportunities through www.FrequenciesthatMEND.com. Shannon is a Licensed Acupuncture Physician, Licensed Massage Therapist and Myofascial Trigger Point Therapist. Shannon has a bachelor degree in Biology and graduated from Hendrix College in 1986. She is licensed in Florida to practice Oriental Medicine, Acupuncture and Myofascial Trigger Point Therapy. Shannon graduated from the Pittsburgh School of Pain Management (1997) and from the Classical Acupuncture Institute in 2001. She is board certified by the National Certification Commission for Acupuncture and Oriental Medicine (Diplomate), the Myofascial Trigger Point Therapy National Board, and the Academy of Integrative Pain Management (Fellow). 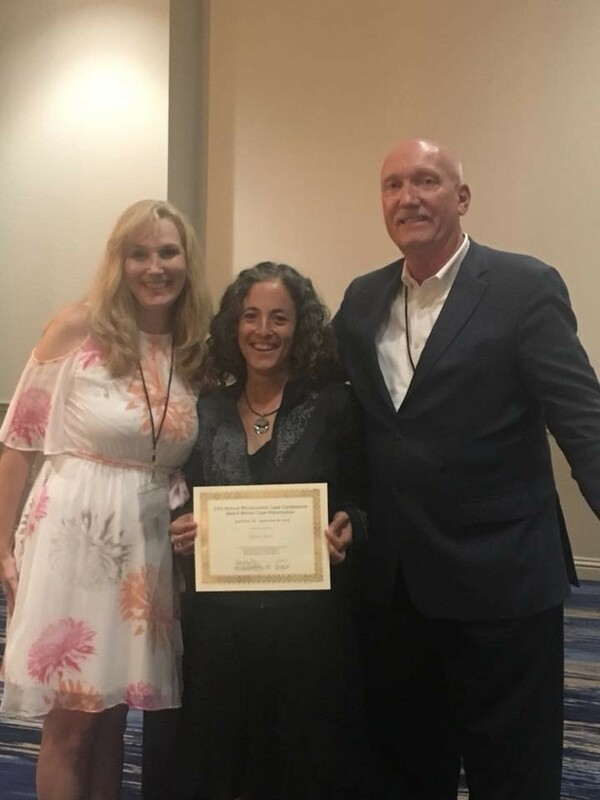 As a recognized national expert in treating myofascial pain and dysfunction, she expanded her clinical practice by completing her AFMCP (Applying Functional Medical in Clinical Practice) training through the Institute for Functional Medicine. This certificate allows Shannon to broaden and offer additional health care modalities for her most complex patients. She is also an active student to complete functional medicine certification through the Functional Medicine University program. Over the last 16 years, Shannon has collaborated with interventional radiologists, neurosurgeons, and orthopedic spine surgeons, demonstrating the effectiveness of applying integrative medicine concepts in clinical practice and during pre and post-operative periods with enormous success. She is a contributing writer to two textbooks (Clinical Mastery in the Treatment of Myofascial Pain 2004, Clinical Application of Neuromuscular Techniques 2005) and has had several articles published on spinal disorders, myofascial pain and dysfunction and clinical evaluation. Dr. Miller has authored over 241 publications and has helped lead over 80 clinical trials over his career. He was for over a decade the Chairman of Cardiovascular Medicine at the University of Minnesota. Leonhardt Ventures has developed more than 27 bioelectric microcurrent organ regeneration products that are in various stages of development. Training #1a Inspirstar Level One training Sept. 26 Only. Level One Training is for practitioners and pre-approved patients who are interested in learning more about effective use of the Inspirstar Microcurrent products including software and devices. You will learn the basics of microcurrent device, how to create protocols, profiles, program the device with your own treatments. This training needs moderate knowledge of PC operations. Product cost (software and/or device) is not included in the tuition. This was 2-day class and I try to squeeze it to 1-day to save your travel time. For any question or patient pre-approval, please contact ning.wu@inspirstar.com. Attendees need to bring your own Window PC to the training, or Mac PC with Windows on its virtual machine like Parallels. Training #1b Inspirstar Level Two training, Sept. 27 Only. Tuition: $349 for Level Two training. Inspirstar Level Two training is for practitioners and patients who have owned Inspirstar device and software and want to learn more advanced features. You will learn the following: advanced waveforms explanations and the use of difference waveforms; Real Time to enable visualization of frequencies delivered to the body in real time on your computer monitor; Random Frequency/Loop to specify and control random frequency which is reported to work better than specific frequency in some studies; IS02 advanced features especially IS02PRO, the most advanced “Game Changer of FSM device”; and the discussion of current flow in the body. This was 2-day class and I try to squeeze it to 1-day to save your travel time. Training #2 Reboot Your Practice with Advanced Programming, Sept. 26 Only. Repeat Performance By Popular Demand! You asked for it…again! In this 1 day course, acclaimed programmer and practitioner Vanessa Howe will share her methodology and philosophy of programming. Developed for the active practitioner, this class will focus on how to take your “good” outcomes to “great”. Learn how to decide which frequencies to run longer, shorter, and loop processes. Practitioners are encouraged to bring real life, challenging cases to problem solve and discuss. This class focuses on where participants are, to help you get to the next level. Vanessa assures that there is something for anyone! A limited number of cases will be selected from submitted cases (deadline Sept 7th) to be incorporated into the class outline. Sign Up and submit cases early! Cost of Program: $395. Contact Vanessa at: vanessa@HoweRT.com for more information and available Presenter Discount Pricing on this course. Repeat Attendee Discount available as well. Email Vanessa for more information! Training #3 Optimize Rejuvenative Medicine with BioEnergetic Modalities – A Collaborative Forum of Experts in the Field of Rejuvenation Using Resonant Therapies to Lead the Way to Enhanced Healing, Sept. 27 Only. Facilitated by Resonance Leader, Vanessa Howe, this 1-day program will present current theories, application and techniques as used by 3 Industry Leading Pioneering Physicians. Drs. John Shieh, Dennis Courtney and David Nebbeling will be sharing how they use technologies of Stem Cell, PRP, Prolotherapy and others while enhancing their outcomes with Microcurrent and other BioEnergetic Modalities. Learn from the Experts how to take these NEW technologies to the next level. From technical considerations such as waveform, ramping, frequencies, modality effect to real world applications such as set up consideration, applications and more! This class will provide you with both the technical and day to day practical use of Resonance to Enhance Rejuvenation! This is a Pre-Con not to miss! The morning will focus on techniques, applications and real world practicum. The afternoon will commence with an interactive panel of our experts. David Nebelling, DO is an Osteopathic Physician in Lansing Michigan. He has been a leader in his area both in administering, but also teaching physicians in prolotherapy, prolozone, chelation, neural therapy, meso therapy, nutrition and manual osteopathic medicine. He is the Treasurer of the North American Osteopathic Assc of Prolotherapy Regenerative Medicine. He is also the esteemed co-Chair of the Annual Microcurrent Conference and a regular Presenter on Microcurrent. This class will provide the practitioner with fundamental and essential concepts for using frequency specific microcurrent to treat myofascial pain due to common and more complex physical injuries and pathology. You will learn frequency combinations and techniques for myofascial pain and dysfunction, reflexive pain, and pain that is referred from discs, facets and ligaments that often present as myofascial pain. You will also learn positive results have been reported for reducing myofascial pain associated with fibromyalgia, shingles, and sciatica as well as those caused and perpetuated by cervical and lumbar spine injuries. This course is designed for the practitioner who wants a more in-depth understanding of physical medicine concepts and will include the history and scientific basis for microcurrent therapies. It will help the practitioner to quickly and easily integrate microcurrent applications into clinical practice and to interface within a multi-disciplinary approach, whether working within a hospital or medical office, or practicing in an independent clinical or outcall setting. This course is ideal for practitioners who work with patients suffering from chronic pain, athletes with acute and chronic injuries, weekend warriors, anyone who actively exercises, etc. Practitioners will learn specific microcurrent frequency protocols that help reduce chronic myofascial pain associated with inflammation and overuse, as well as precautions and red flags for microcurrent applications. Standard exhibitor fee is $1,050 which includes a 10 x 10 space with table and 2 chairs. Your choice 6’ standard or 48” cocktail round. Each exhibitor fee includes 2 exhibitor hall badges. Friday Exhibitor Lunch Presentation Included. Premium Center Booths with $200 additional fee (Sorry all center booths have been taken!) . We offer 2 payments with half down and remaining Balance by 7/15. The Exhibitor area is in a separate room from the conference and we will require attendees to visit exhibitors during all breaks. Complimentary Basic Wifi in meeting space and 50% discount on Premium Wifi. Electric available for nominal up charge. Discounted Conference fee $700 available for exhibitors to attend conference. Each exhibitor will give a short introduction (~5 minutes) of your products or service on 9/28 Friday’s Exhibitors Lunch. We also have an opportunity for exhibitors to sponsor a Lunch on Saturday(not available) and Sunday(available). Each sponsorship event($1,500) will include the opportunity for a 30 minute presentation. This is a great marketing opportunity. It will go very quickly. Please contact ASAP if you are interested in these sponsorship. Conference Group Rates: Traditional (Single or Double occupancy) $169.00; Studios +$20.00; One Bedroom Suites starting at +$30.00, 13% tax . Resort fee $29 is waived. These Group Rates will expire on Sepetember 3, 2018. Please call reservation toll 1-800-344-5999 to reserve the room. Please mention Group name “12th Annual Microcurrent Conference 2018”. Hotel online booking not available for our group booking. All group rates are based on single or double occupancy in a room. Each additional person 18 years of age or older will be charged a fee of $15.00 per room/per night. Three days pre and post rates will be honored if available. Free parking(one car per room). Room cancellations are accepted up to 72 hours prior to arrival. One night’s room charge penalty will be accessed for those not cancelled and/or no show.
. If you prefer mail-in registration, please send email to info@microcurrentconference.org. 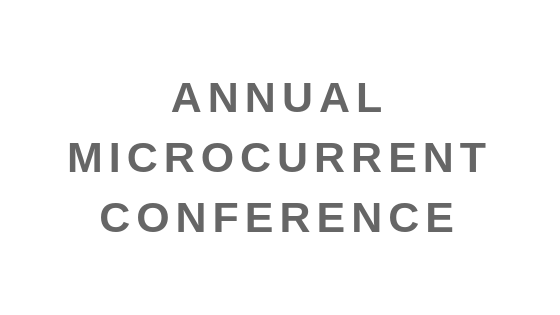 If you prefer mail-in registration, please send email to info@microcurrentconference.org.